When building a lithium-ion battery pack, there will always be some sort of protection circuitry necessary that will safely separate the cells from the external connections. The protection may be as simple as a pair of charge and discharge Field Effect Transistors (FETs) with voltage and current detectors, or as complicated as adding firmware controlled fuel gauging and secondary protection. The protection circuitry and battery fuel gauge is comprised of components that are soldered to a circuit board. This assembly will need to be tested for proper functionality. If the pack has fuel gauging added, it will also need to be programmed and possibly calibrated in addition to any testing. So, when in the manufacturing process should you begin testing battery packs? The best way has always been to test (program and calibrate if necessary) the circuitry before attaching the cells. The reason being because once the cells are installed, the testing is limited to the state of charge of the cell pack. Also, if there are failures, troubleshooting and repairs may become complicated or impossible to execute. Testing the circuits before installing the cells is accomplished by building a fixture. A power supply and electronic load can be configured to simulate the cell pack, battery charger, and load. This method of testing allows for a thorough check of all the functions of the circuitry. When test failures occur, the board can be easily removed from the test fixture and repaired. Even though there is an added cost due to the time, equipment, and test fixtures, the result will be a thoroughly tested high quality product ready for final assembly. After the cells are installed in the product a much more abbreviated test can be conducted which will insure that the pack is completely functional and ready to be shipped to the customer. At some point during the manufacturing process, the product will have to be tested to its specification to determine whether the battery pack is functional or not. Generally, the protection circuit and/or fuel gauge circuit is on a circuit board. These circuits need to be tested, programmed, and calibrated (with a fuel gauge). This is most efficiently accomplished before the cell pack has been installed. A full functionality test can be done on the circuits to determine functionality. If the test is setup correctly, each function will have a pass or fail criteria which the technician will be able to see and determine where any failure occurs. This data can be utilized by the technician to track down the failure. 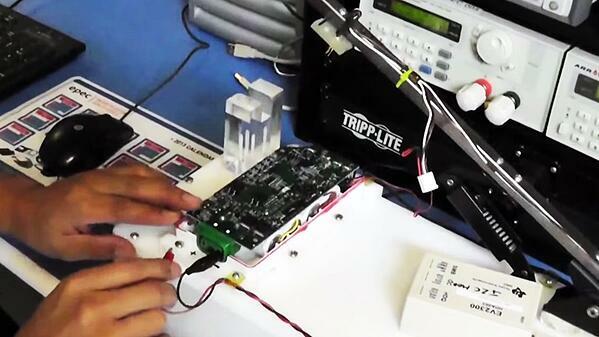 The process for test and troubleshoot works best when the cell pack has not been installed. This leaves the board unpowered for easy repair work. Also, many packs utilize materials such as silicone, heat shrink, fish paper or other items that would make troubleshooting, repairs, and reassembly almost impossible once the cell pack is installed. All parties must account for the added cost and time resulting from testing the printed circuit board assembly before assembling the battery pack. However, it pays dividends when the long term cost savings, thorough testing, troubleshooting, and ease of repair result in a high quality end product with a lower instance of failure in the field.